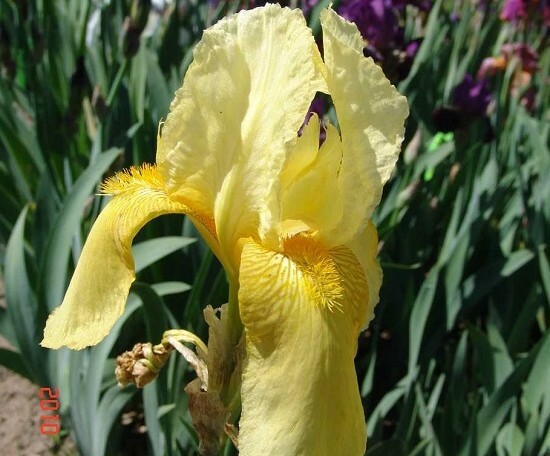 From the Salbach Iris Catalog for 1935: “A real triumph in yellow breeding which bids fair, in time, to become the most popular iris in the United States. 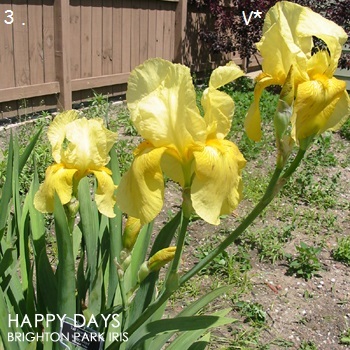 An immense clear yellow most easily described as a yellow ‘El Capitan,’ although in established plantings the bloom will be slightly larger than those of the latter. Perfectly branched, with each stalk carrying seven or eight massive blooms. 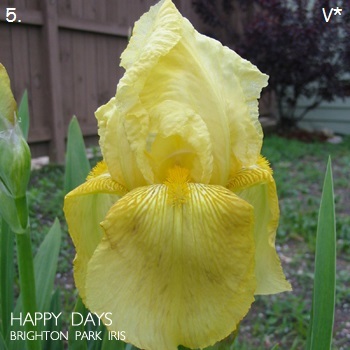 Color, clear Pinard yellow, with the falls being a shade deeper than the standards, and the beard an attractive orange yellow. Unusual glistening finish. 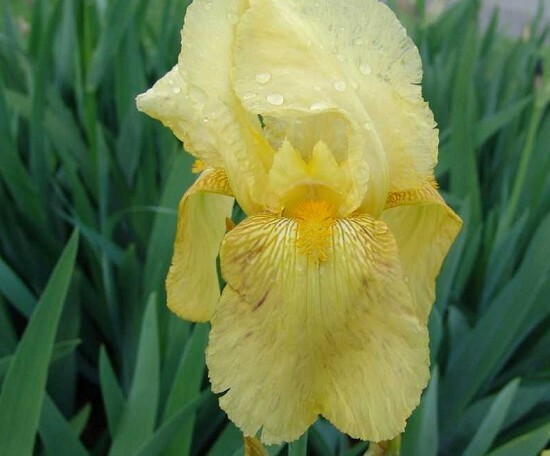 Although deriving in size from its Dykes parentage, the use of a clear yellow seedling as the other parent has eliminated and tendency toward flecking and fading. 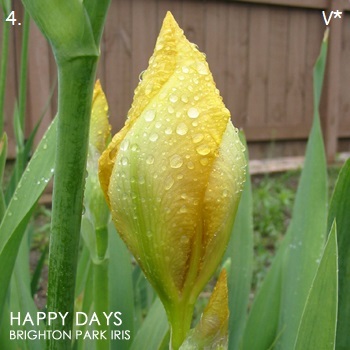 Provenance: Image 1,2 by L Munro from Presby Iris Gardens, circa 2007.